The original word on the street was that the upgrade should have happened only three months after launch, a deadline severely missed by Motorola/Verizon. 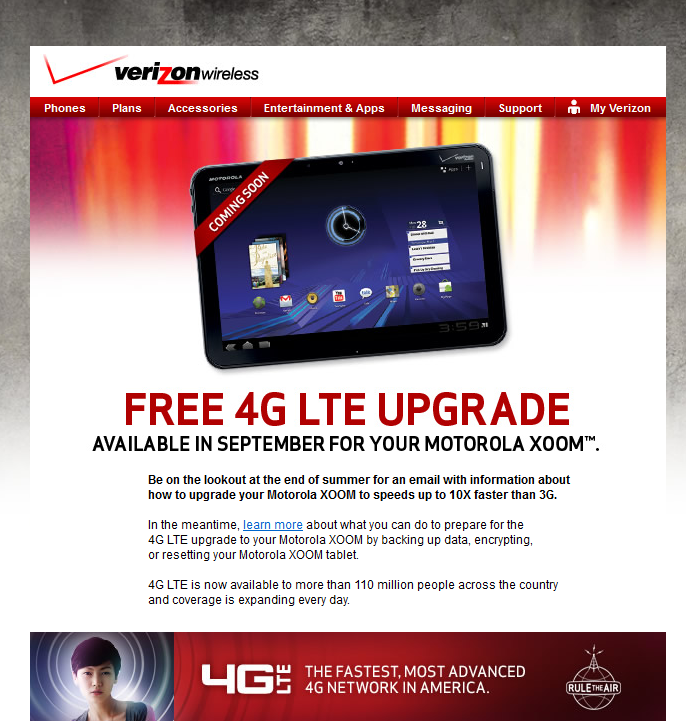 If the September date is correct, the VZW XOOM will have been out for seven months when it finally gets its 4G LTE chip. 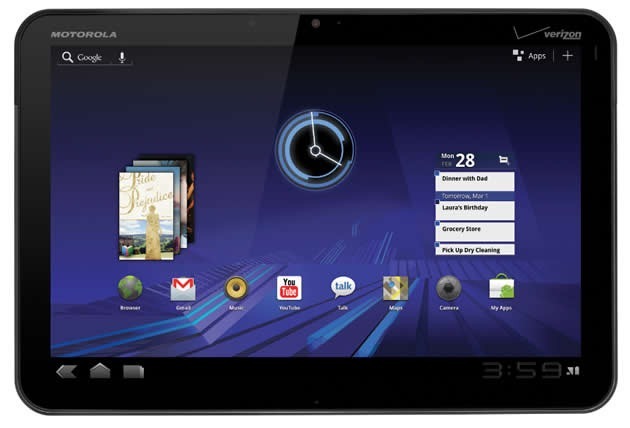 To add insult to injury, the 4G LTE equipped Samsung Galaxy Tab 10.1 is set to hit Big Red's shelves on July 28th. Ouch.